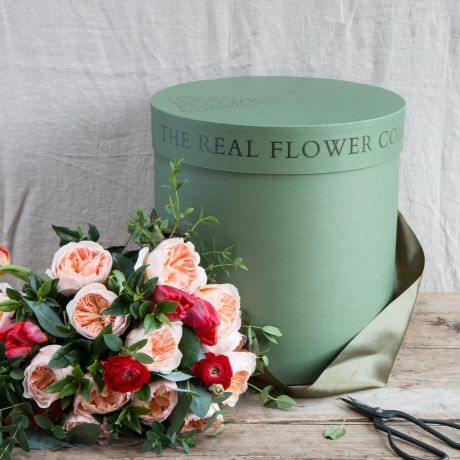 This absolutely delightful luxury bouquet is filled with our favourite English grown scented roses with English grown mixed wild flowers. A cheery bouquet with a heavenly scent that offers the best of the summer season. As the season changes we make substitutions that will reflect the best of the pick of the week grown on our English farm. Please note the bouquet shown in the photograph is a Large size, and is an example of the bouquet you will receive. 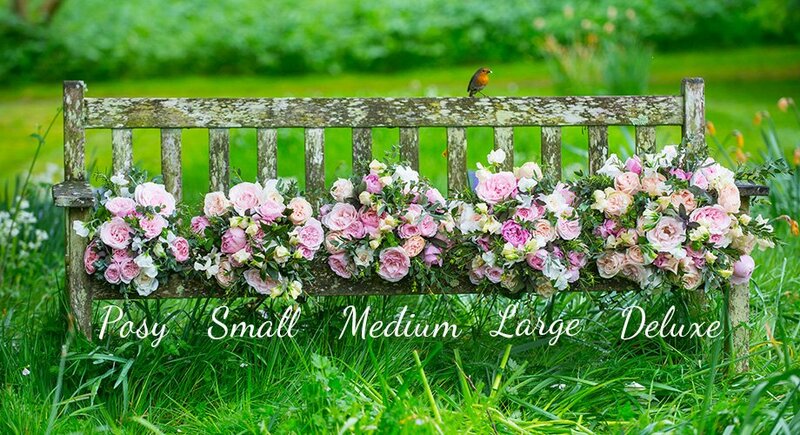 The sizes the bouquet is available are listed below. Posy (7 Roses), Small (12 Roses), Medium (16 Roses), Large (22 Roses) & Deluxe (30 Roses). Select the size of your bouquet from the drop down menu above.